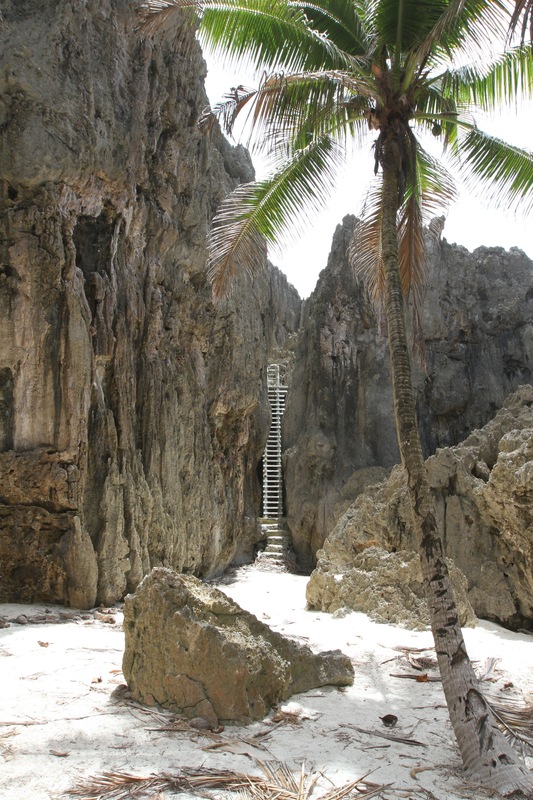 It’s known locally as ‘The Rock” – the largest uplifted coral island in the world, and home to the smallest island nation. 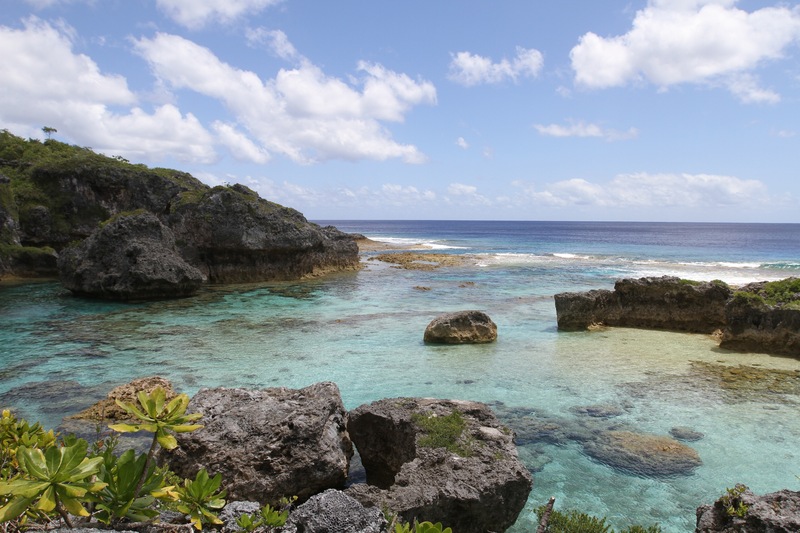 Niue (pronounced New-ay) has only 1200 residents and is self-governing, although closely affiliated with New Zealand which provides significant financial aid to the country. 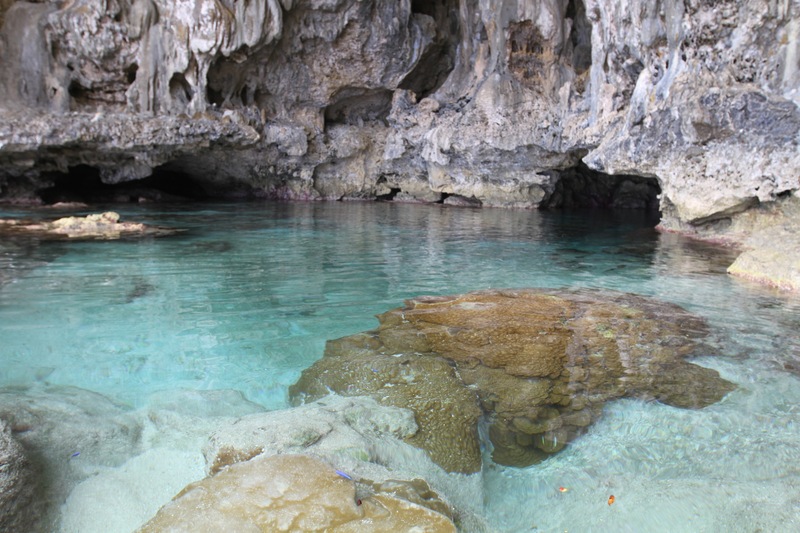 It’s a gem of a place and we’ve had a great time exploring and getting to know this unspoilt island for the past 10 days. 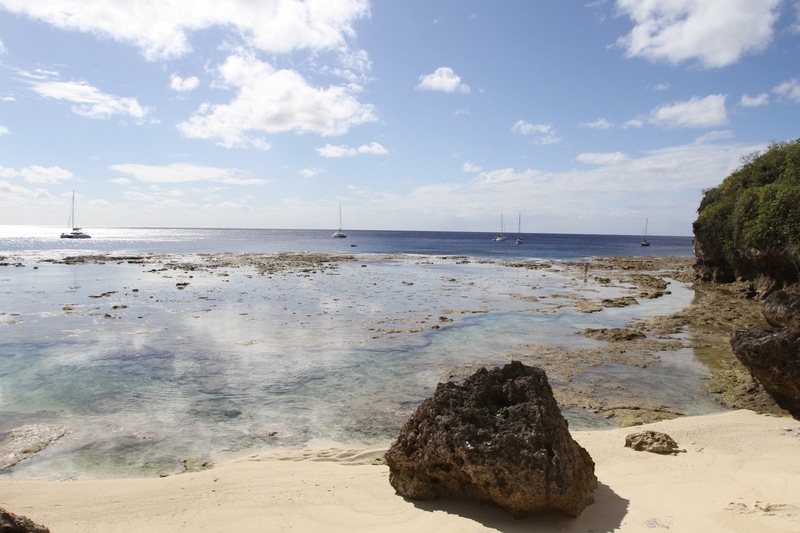 Unlike Aitutaki or many of the French Polynesian islands, there’s no fringing reef and lagoon here, so no reef passes to navigate – the reef IS the island! 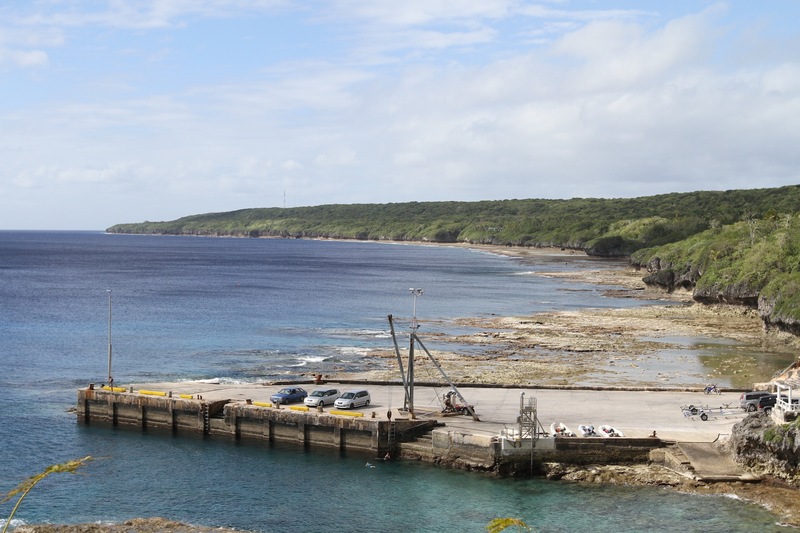 The approach to the anchorage on the west side of the island, off the main township of Alofi, is easy and there’s plenty of space, with 16 strong moorings owned by the Niue Yacht Club. When we arrived there were only two other boats here, so we had our pick of the moorings and then once settled we dropped our dinghy in the water and made our way to the dock to do our clearance. 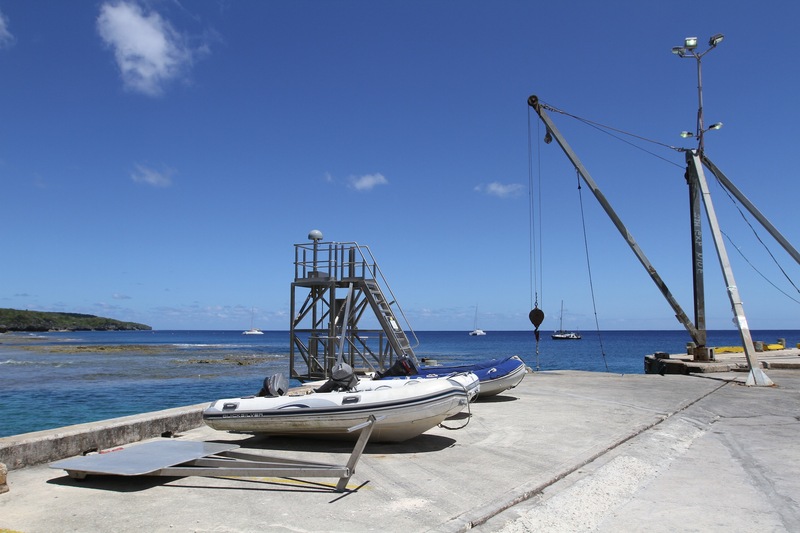 And herein lies the first challenge of Niue -– because of the swells you have to lift your dinghy out of the water with a crane and park it on the concrete dock. It’s pretty easy when the seas are calm and the tide low, but at high tide with big swells it’s crazy! 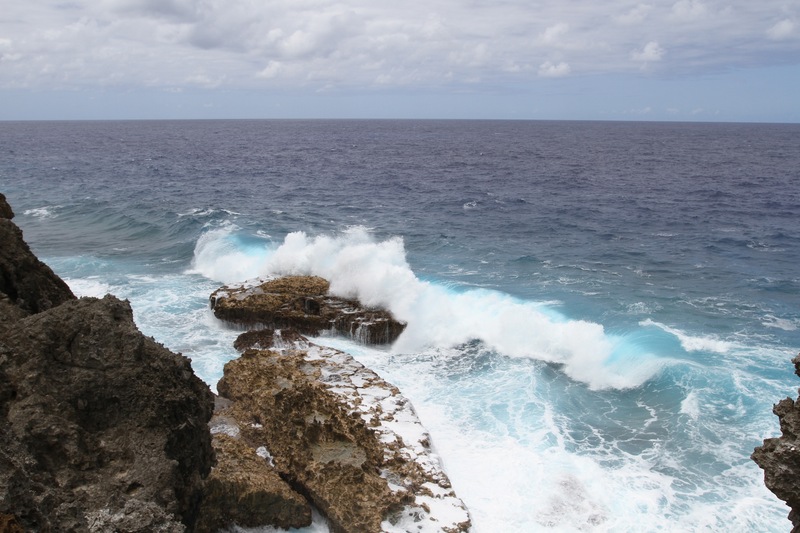 The process goes something like this – Bruce puts the dinghy alongside the steps and I clamber out while the swells threaten to pick the dinghy up and deposit it on the third step. I then race up to the crane control box and lower the hook down to Bruce who clips it on to the bridle we’ve rigged for the dinghy. Then he has to do the same crazy leap of faith out of the dinghy onto the steps. 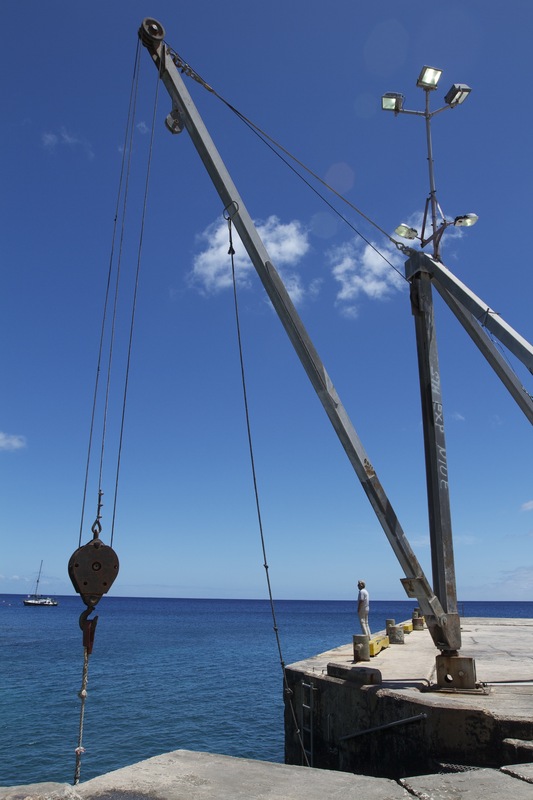 From thereon it gets simpler – just lift the dinghy out of the water, swing it round onto the trolley on the dock, lower it down, put the crane hook back over the water for the next arrival, unload the dinghy off the trolley and Bob’s your uncle! The guys from customs and immigration met us on the dock, and we did our clearance in the back of their van, all the while chatting about the rugby world cup and catching up on the latest results. Once completed they gave us a lift into town and a bit of a local tour, pointing out places of interest. 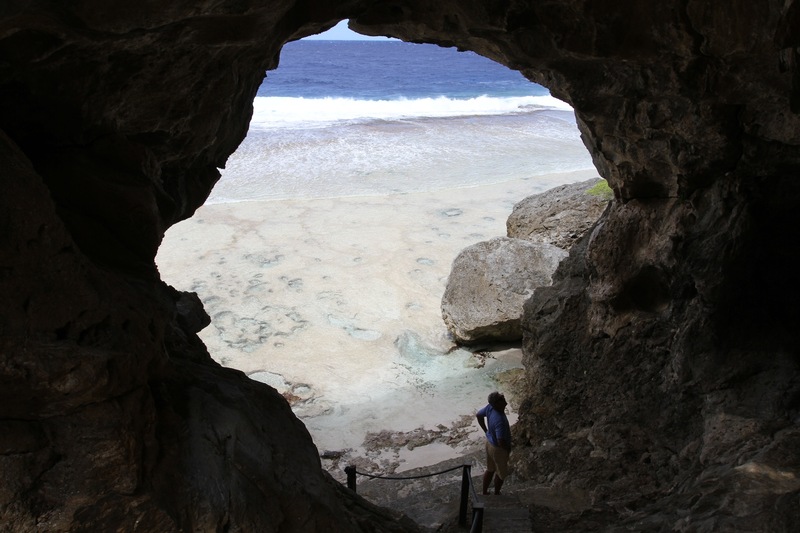 What a great welcome to Niue. The original Yacht Club at the wharf got damaged in the last cyclone, so they’re now situated in town in the backpacker’s hostel. 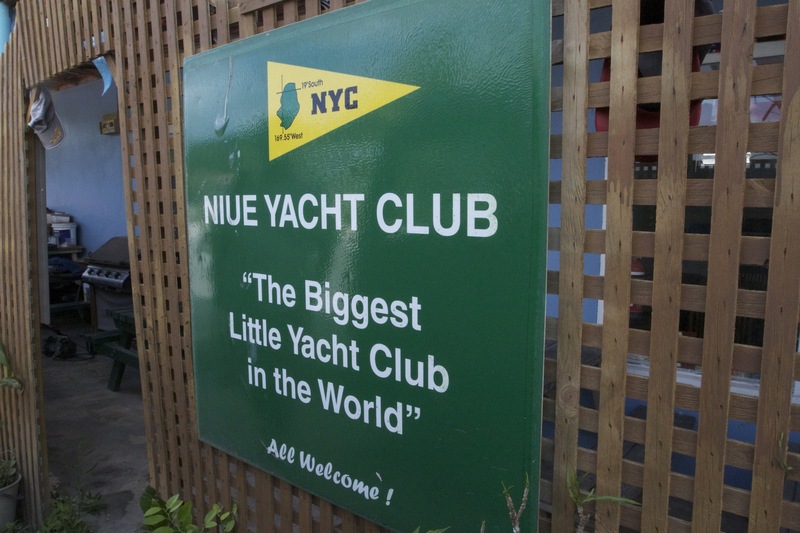 The only yacht club in the world with no yachts, but more members than the population! Visiting yachties pay $10 to join and they now have something like 1700 members from around the world! It’s a great place to hang out and have a drink or use their free wi-fi, and Ira and Brian were most welcoming. 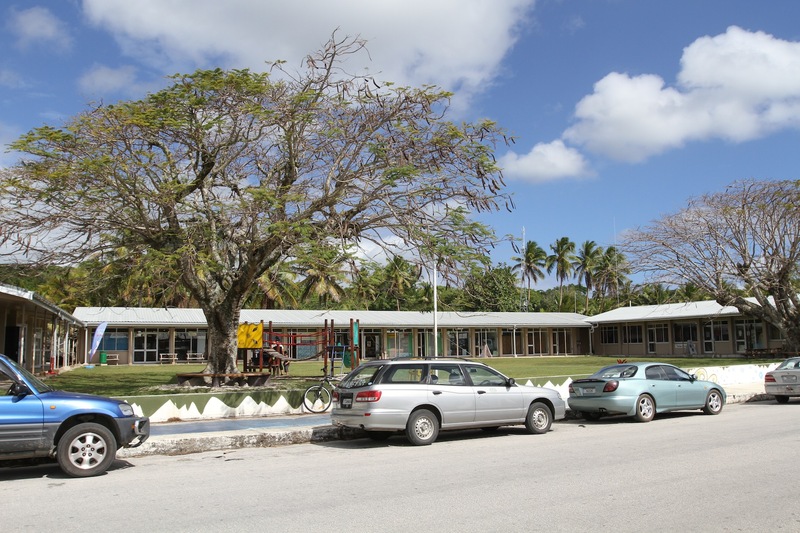 The other challenge of Niue is that there’s one bank but no ATM. 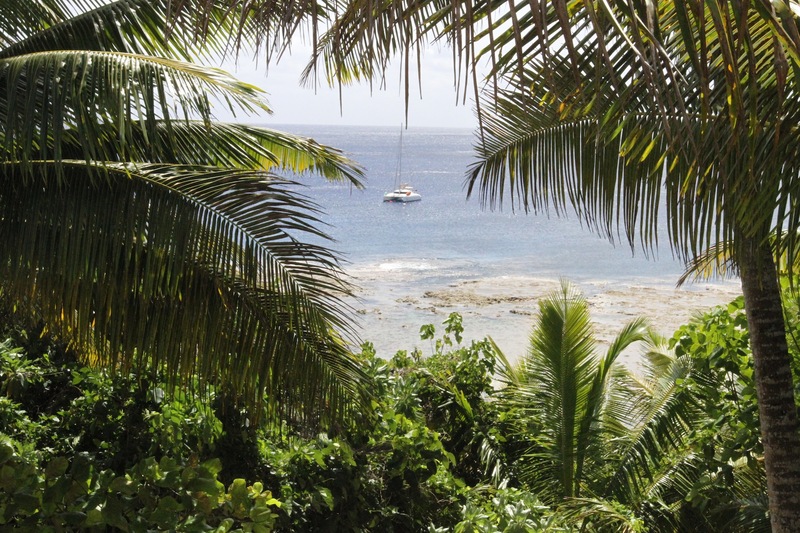 We knew this before we arrived and had intended to stock up on NZ dollars in Aitutaki, but the ATM there decided to malfunction on our last day –typical! The Eftpos machine in the bank wouldn’t accept my Australian debit card, so we ended up having to take out a cash advance on my credit card, with a whopping 5% commission fee added. Ouch! 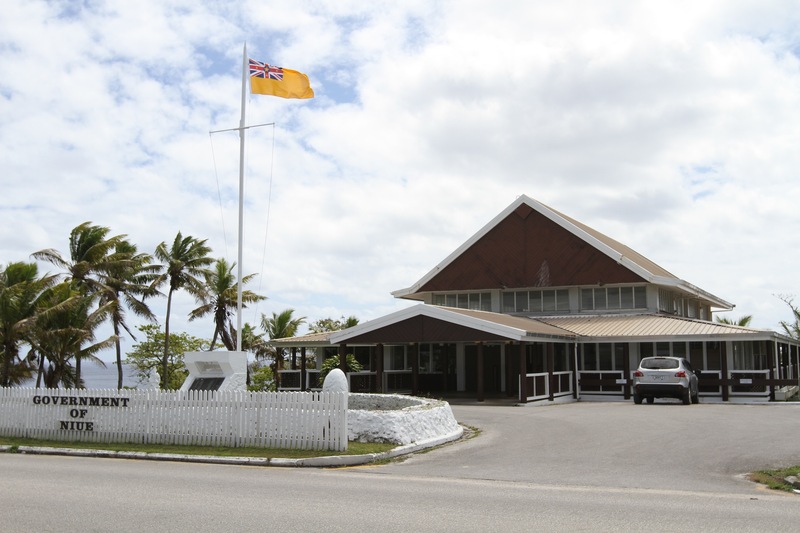 Anyway, now cashed up, our next stop was the bonded liquor store – in Niue it seems that you can buy duty free alcohol on the day you arrive, as well as on the day you leave. We like that idea! Although the township is small, the grocery store is very well stocked and full of NZ goods – I finally hunted down some mint sauce to go with our NZ lamb, and they even had Vegemite on the shelves, how civilised! There are also several good restaurants in town – the $5 rotis at Gill’s Indian restaurant were great, as were the curries once he knew how hot we wanted them. We also had a delicious sushi meal at Kai Ika with wonderful fresh fish and hot saki. 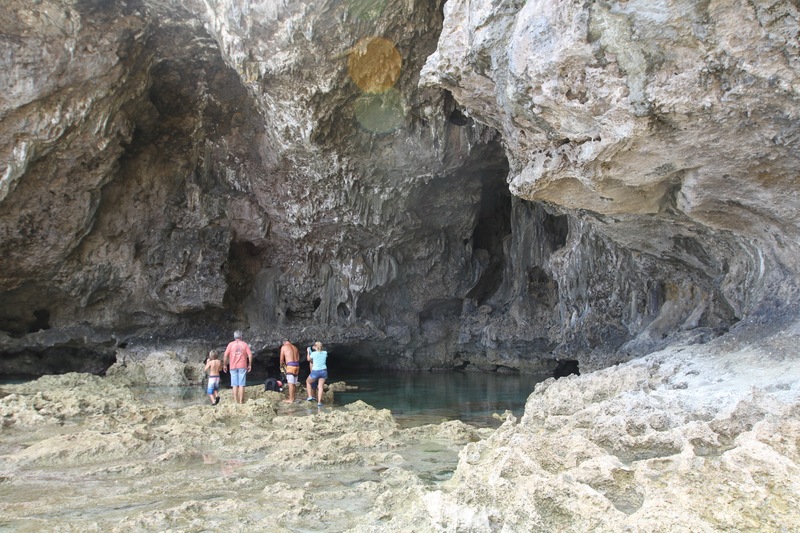 The rest of our time in Niue we spent exploring the island. 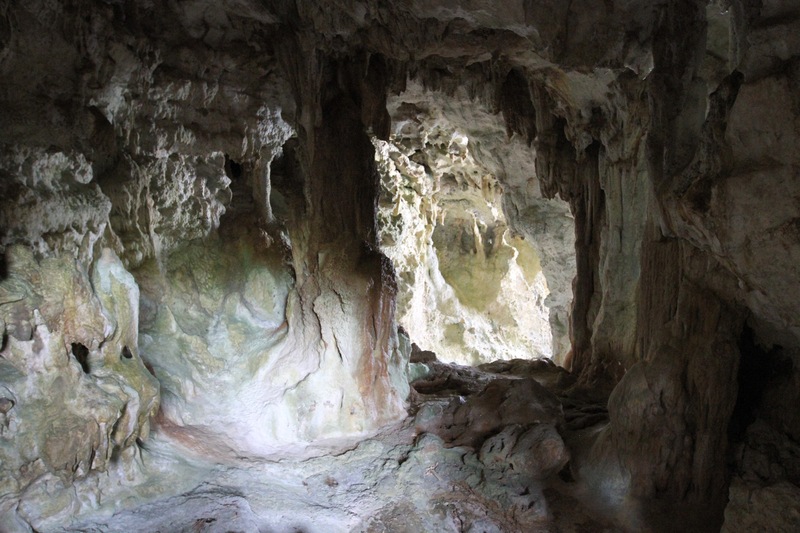 The main attractions are the ‘Sea tracks’ – well-maintained paths down to the reefs and limestone caves and chasms that surround the island. 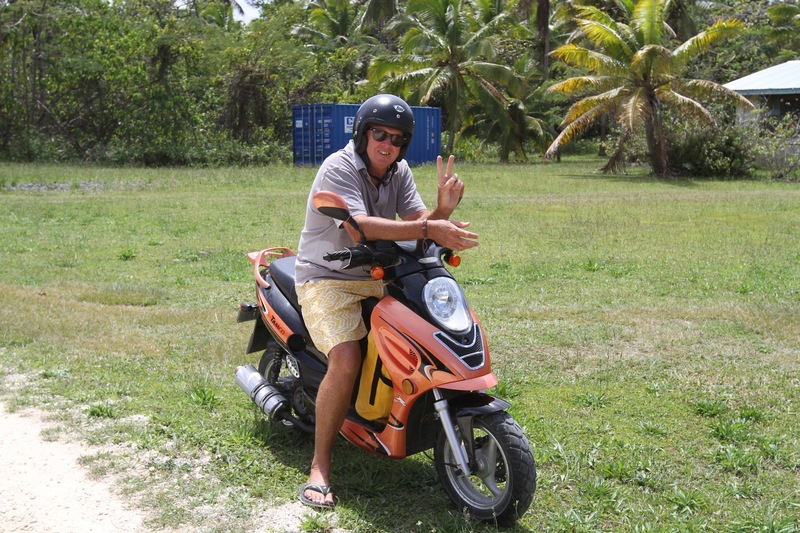 You really need transport to see all the island has to offer, so we hired a scooter for a couple of days. 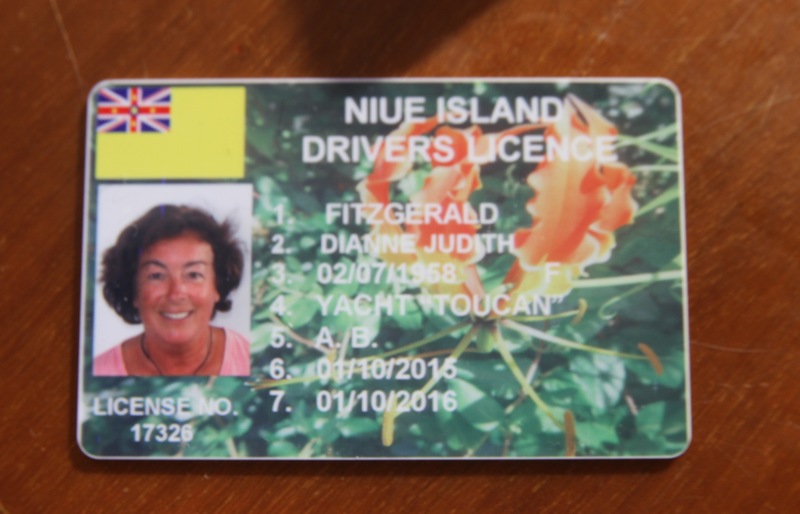 Again, only in Niue do you need to convert your driving licence to a local one. 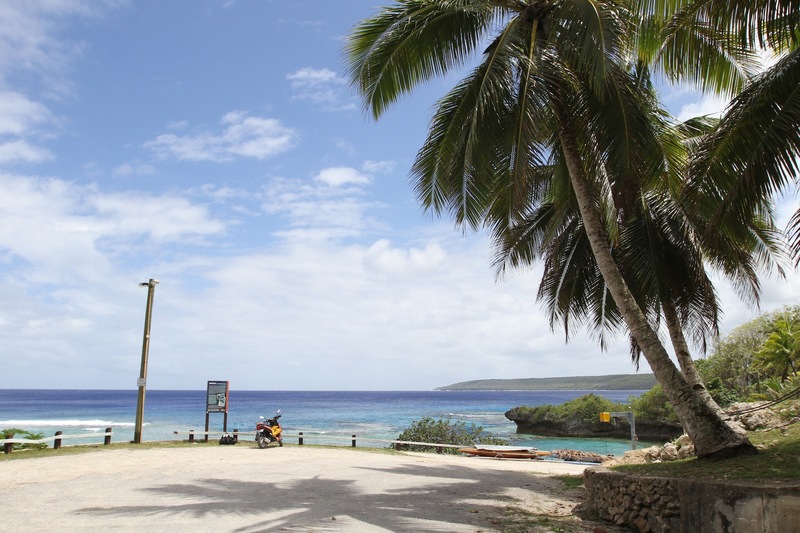 It was a bit of a process as all the tourists want a souvenir licence, but eventually the young policeman got around to us and we smiled for the camera and got issued our colourful Niue licence. I guess it’s a good revenue-raiser for them, but not so sure whether it’s a good use of police resources. He told us there are 15 police officers on the island, but with crime virtually non-existent I suppose they have to find something for them to do! We hadn’t really thought the scooter thing through – we assumed it was the same deal as in Aitutaki, but this scooter didn’t have nearly as much oomph, so every time we got to a hill (luckily only two on the island) yours truly had to get off and walk up!! After two days of walking and exploring our legs were aching but we saw some amazing scenery. 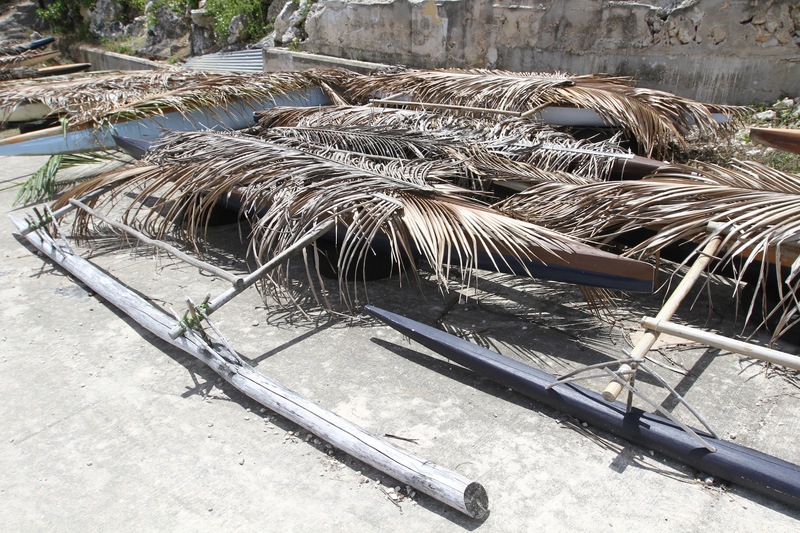 The outriggers here are still made the traditional way, no carbon fibre to be seen. 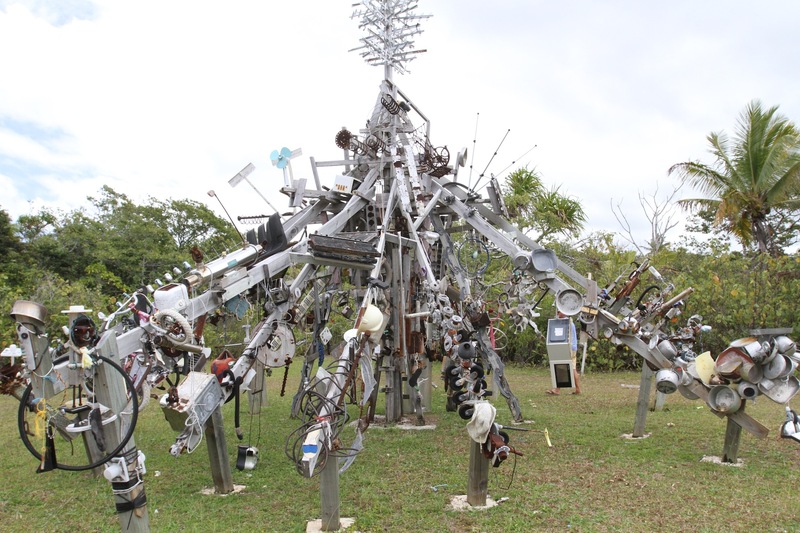 We also called in at the quirky Hikulagi Sculpture Park, where the main feature “Protean Habitat” is composed of discarded electrical and household items, representing humanity’s thirst for consumerism. Peter Fonda, eat your heart out! 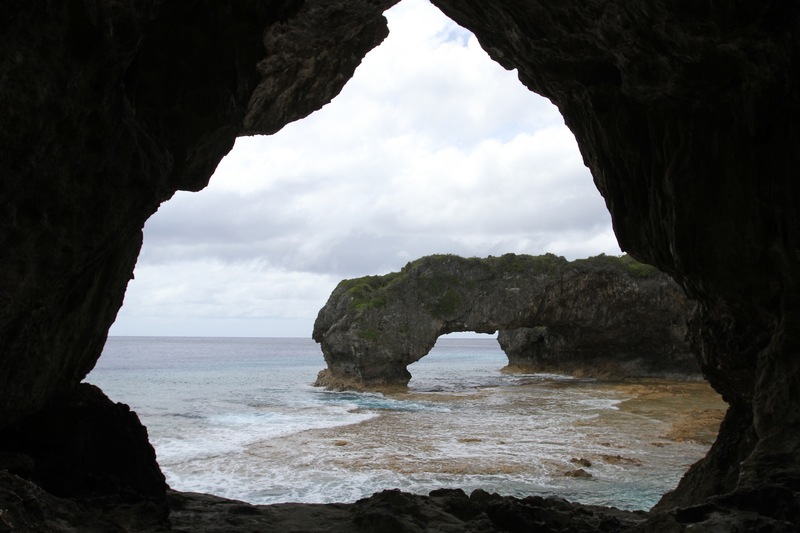 Niue suffered extensive damage from cyclone Heta in 2004, and as a result of that together with lack of work opportunities on the island, many people have abandoned their homes to go and live overseas. 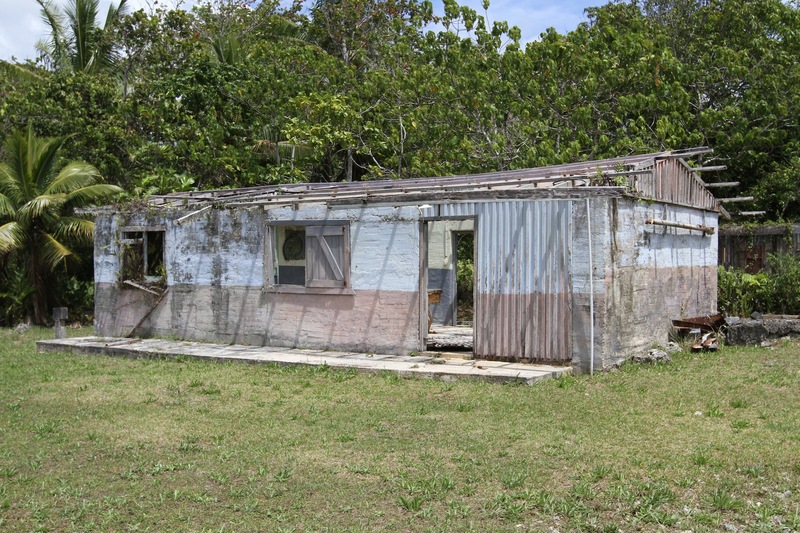 Apparently 90% of Niueans now live in New Zealand, but their derelict houses still stand. 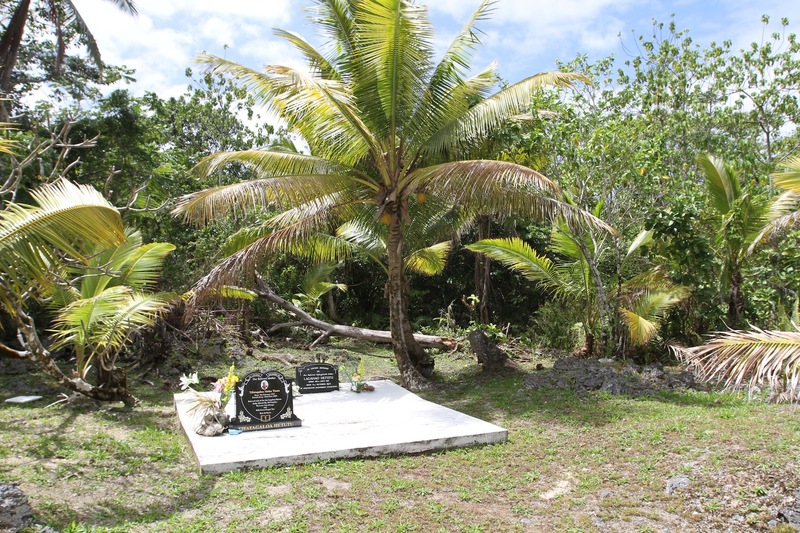 There’s no such thing as freehold title on the island, land is claimed by family genealogy so the other striking thing about Niue are the number of graves everywhere – in front yards, along the road side, anywhere really, which lay claim to that particular bit of land. A few days later we were joined by Seathan, Audrie and the boys on ‘Rehua’, who’d stopped over at Palmerston Island. So we continued our adventures with them in the comparative comfort of a 7-seater people-mover. No more walking up the hills! 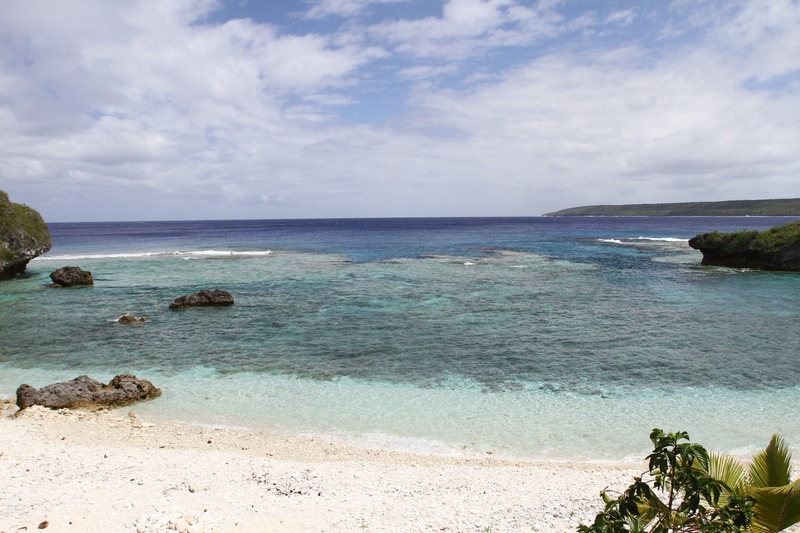 The water in Niue is crystal clear – our mooring was directly over the reef so we dropped in the water and had a great dive, seeing many fish we hadn’t seen before, lots of healthy coral and a huge moray eel and sea snake. Sadly, one of the seals on our Intova (imitation Go-Pro) must have failed during the dive, and now it’s joined our graveyard of cameras (that’s three down now, including my Canon G11, the best little camera ever) so we now have no underwater camera ability. Very frustrating as we’ll have to wait until we get to New Zealand to get fixes/replacements. 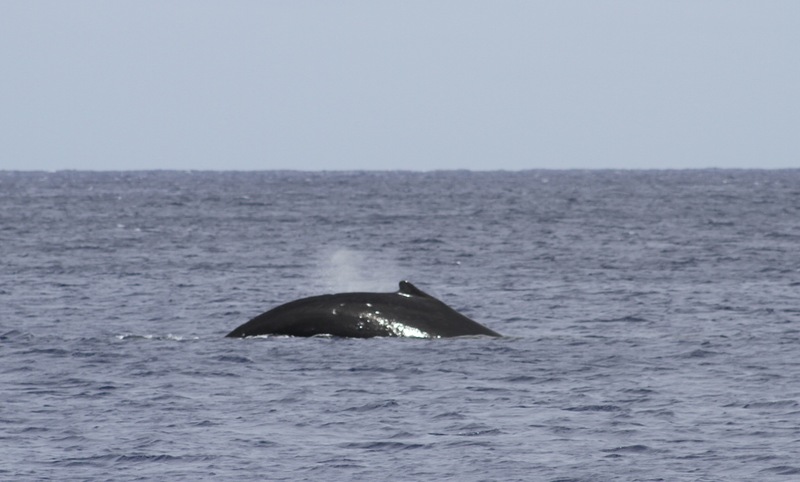 Although we’re coming to the end of whale season here, we were lucky enough to see a couple of whales and calves in the anchorage. 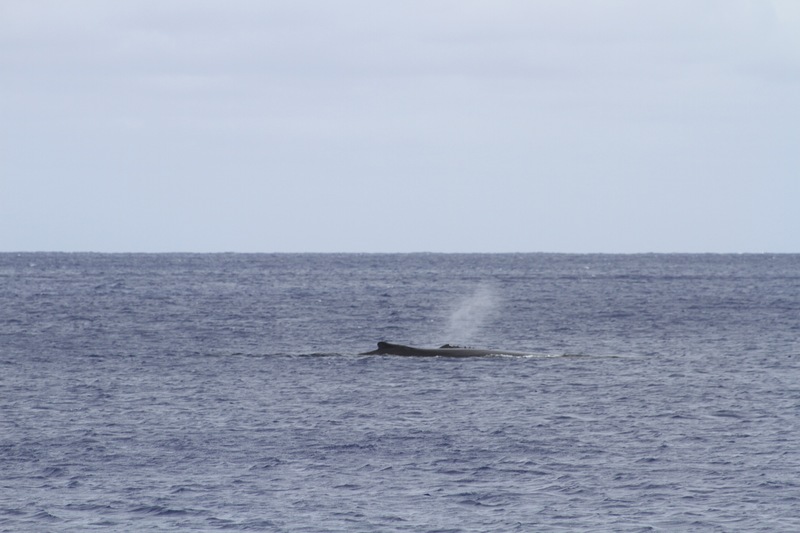 There’s something very magical about going to sleep on board and hearing the sound of whales breathing close to the boat. 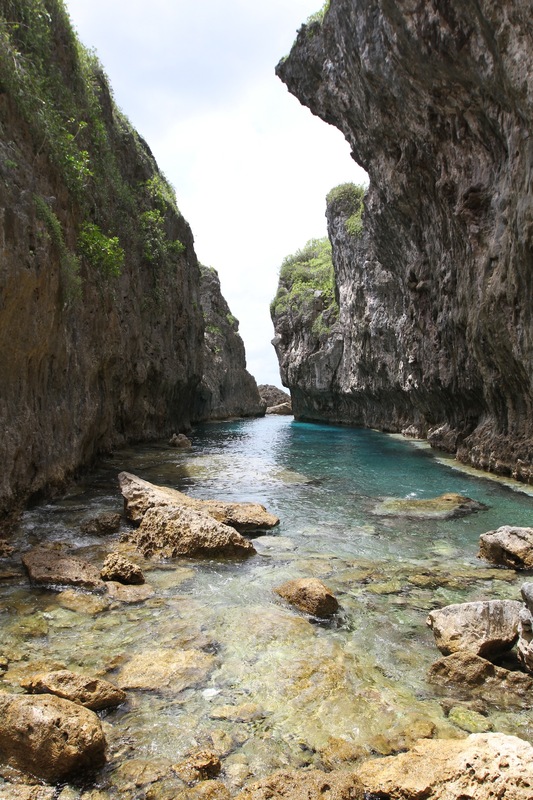 In fact, Niue itself has a unique magic of it’s own, and we’re so glad we decided to stop off here. It’s only 3 hours from New Zealand by plane, so if you get the chance, go visit, you’ll get a very warm welcome.